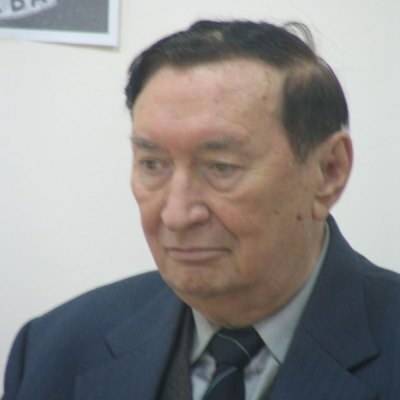 Belgrade Chess Union is saddened to inform the chess public that International Master Nikola Karaklajic passed away on 16th December in Belgrade, at the age of 83. Nikola Karaklajic was born on 24th February 1926 in Belgrade. He learned how to play chess at the beginning of the elementary school, but only after the second World War he started entering in tournaments and quickly showed great talent. Besides chess, his passion was music and he also studied English and French at the Belgrade University. He was one of the most important figures in Yugoslavian and Serbian chess. Player, writer, trainer, organizer, arbiter, journalist, chess ambassador – it is not easy to sum all of his achievements. Yugoslav Semifinal Championship in 1950 brought him the title of national master. FIDE recognized him as an International Master in 1955. His most important tournament results: San Benedito del Tronto 1953 – 3rd, Krinica 1956 – 2-4th, Bognor Ridges 1958 – 1-3rd, 1959 and 1960 – 3rd, 1962, 1962 and 1966 – 1st, San Benedito del Tronto 1958 – 1st, Singapore 1968 – 1st, Belgrade 1969 -1st, Smederevska Palanka 1971 – 2nd, Chicago 1973 – 2-3rd, Casablanca 1973 1-4th, London 1976 1-4th, Athens 1977 – 3rd, Belgrade 1977 1-2nd, Venice 1981 – 1st, Dubai 1984 -1st, 1986 – 1-2nd, Bela Crkva 1987 – 2-4th, Biel veterans 1987 – 1st, Alger 1990 – 2nd, La Valeta 1990, 1992, 1994 and 1996 – 1st. He participated in ten Yugoslav Championships, which is a remarkable success on its own, having in mind difficult qualification process. He became Yugoslav Champion on 1955 in Novi Sad, at one of the strongest championships ever. In one of his recent columns he recalled how he shuddered during the last round game against great Svetozar Gligoric. In 1956 Moscow Chess Olympiad he won a silver medal with Yugoslav team, collecting 6/9 points on the 4th board. Next year he won another team silver at the 1st European Team Championship in Wien and Baden. After the college, he worked as Editor in the Music department of Radio Belgrade from 1957 till 1982. He was the first to take a record of “Beatles” from England to a communist country and play it over the state radio. This started a dramatic change in Yugoslav music. His radio show “On Sunday Evening” was extremely popular, our parents still speak of it with great respect. Besides English and French, Nikola spoke perfect Russian, German and Italian, which allowed him to easily communicate with people all over the world. He was a longtime coach in chess club “Partizan” and various junior camps in Yugoslavia and abroad. He captained UAE chess team in two Olympiads, Singapore team in 1968-1974 Olympiads and Malta team in 1992-1994 Olympiads. During the 1986 Dubai Olympiad he acted as Chief of the protocol. He was Chief Arbiter of the 1992 rematch between Bobby Fischer and Boris Spassky. Chess Ambassador in Sri Lanka, Tunisia and Libya on 1976-1977. Author of the highly acclaimed book “Da Te Pitam”, published by Chess Informant and translated to Arabic. He wrote columns in numerous newspaper, magazines and specialised chess editions – his last article in daily newspaper Danas appeared two days ago under the title “Weak Points”. Until the very last day he was actively participating in tournaments. He played at the recent 21st Belgrade Trophy and his last games were on Saturday at Petar Trifunovic Memorial. He was one of the key figures behind the successful efforts to officially introduce chess curriculum in elementary schools in Serbia.